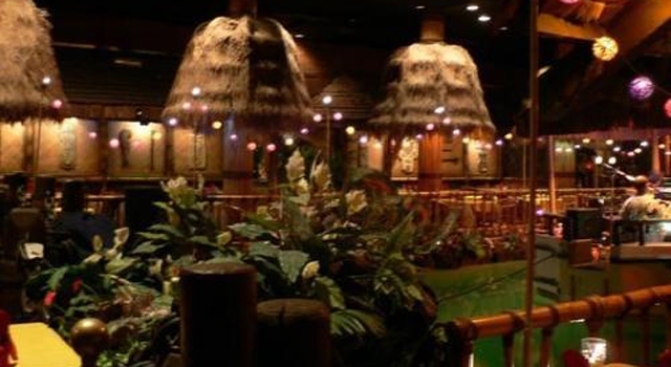 The Tonga Room could have a new home soon. The mystery of whether the Tonga Room or not was not removed at a San Francisco Planning Commission meeting Thursday but the veil was removed on who wants to run the tiki room. The restaurant was set to be demolished along with the hotel's 23-story tower to make room for a new 26-story tower that will become the home of 160 high-priced condos. But fans of the Tonga Room stepped up to try and save it from going under. When attempts to designate the room as a historic site fizzled, supporters looked for alternatives. It was reported Thursday that the hotel, where the Tonga Room is housed, has a letter of intent "with a local successful restaurateur who will buy the Tonga Room and move it to a new, as-yet-undetermined site." But the identity of the mystery buyer was not known. A day letter, Inside Scoop peeled back the mask to unveil Peter Scully, a partner in Bin 38, the Republic and Broadway. Scully says he has signed a letter of intent to take over the Tonga Room and if he gets final approval from the City. He would like to move the bar to a yet-to-be determined location and keep it as in tact as possible. The San Francisco Planning Commission won't meet on the matter until January 2011.